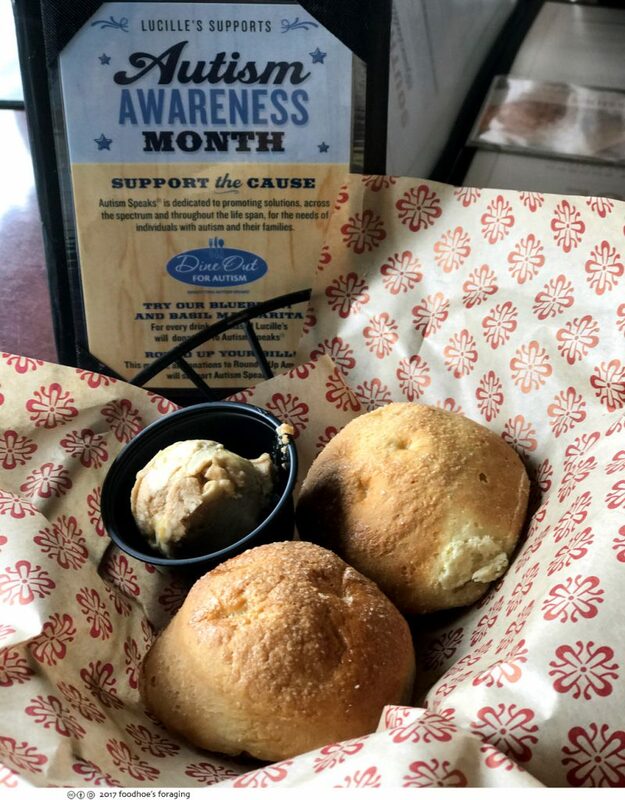 April is Autism Awareness Month and Lucille’s BBQ is supporting this by donating $1 to Autism Speaks everytime you order a Blueberry & Basil Margarita and they are participating in the Round It Up America, where you can round up your purchase to the nearest dollar amount (or more) and help families across the country through research, education, community outreach, and more! National Autism Awareness Month seeks to promote autism awareness, autism acceptance and to draw attention to the tens of thousands facing an autism diagnosis each year. 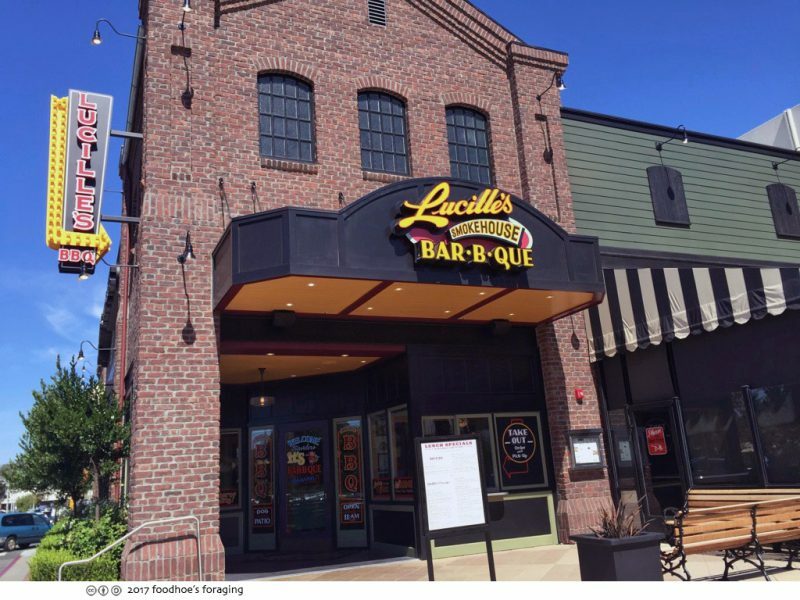 Lucille’s Smokehouse BBQ is a chain of roadhouse themed restaurants with more than 20 locations, mostly in SoCal (in Nevada and Arizona too) that specializes in authentic southern style bar-b-que. According to the website, the meat is smoked for hours on end in the gentle smoke of hickory wood, until it becomes sweet and succulent and so tender it falls off the bone if you so much as look at it. 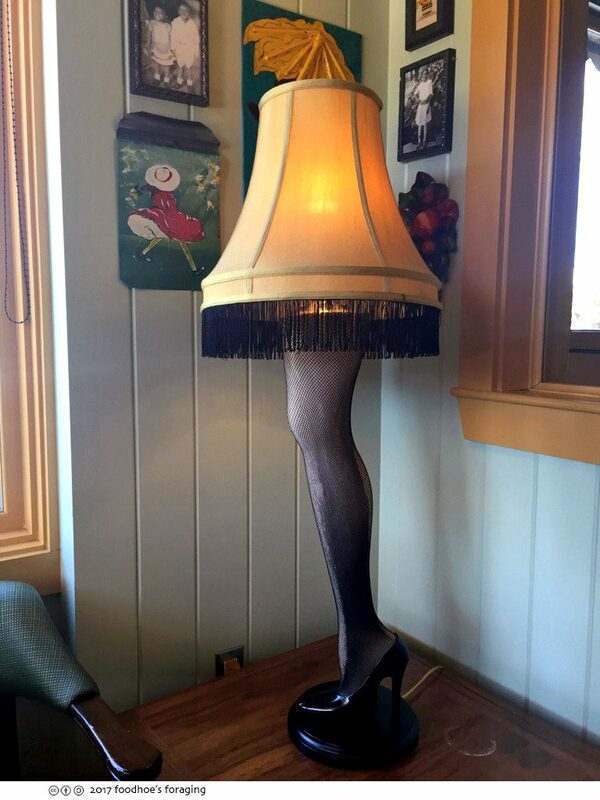 Everything is made in-house, and the menu is big and sprawling, just like the restaurant which is full of memorabilia and tacky decor that pays homage to a southern style roadhouse. The menu has a focus on bbq meats and offers any possible side you could imagine: roasted garlic mashed potatoes, french fries, potato salad, sweet potato fries, macaroni & cheese, creamy cheese grits, southern braised greens, creamy coleslaw, honey roasted peanut slaw, fresh vegetables, bbq beans, fresh corn on the cob, or watermelon. Your meal begins with tender buttermilk biscuits served with molasses butter that melts into the warmed biscuit. 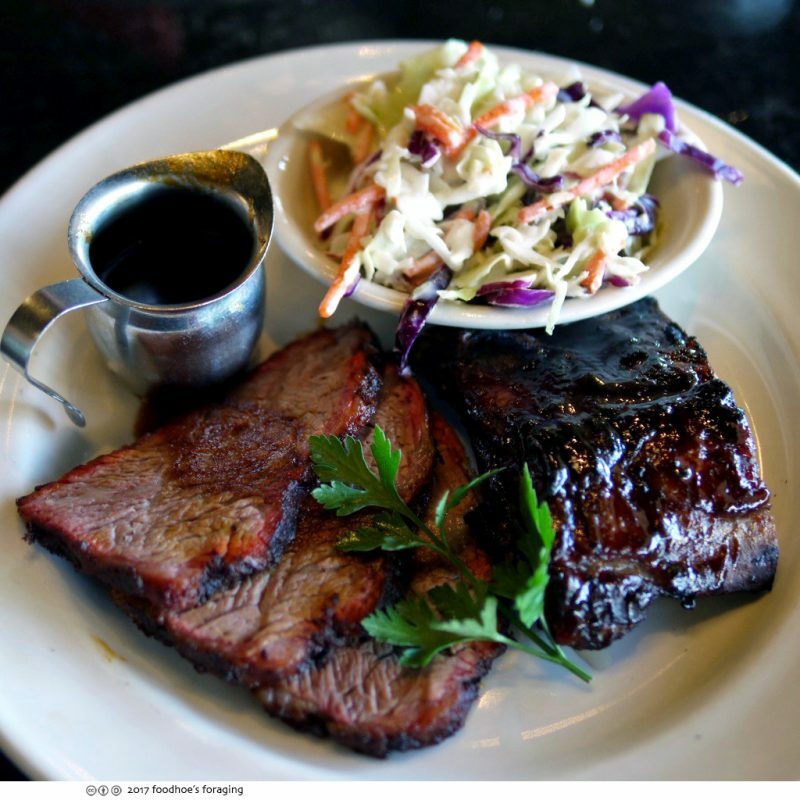 Lunch special with choice of ribs: baby back ribs or St. Louis spare ribs or beef rib and one: one-quarter smoked chicken, rib tips, sausage, brisket burnt ends, tri tip, or pulled pork. 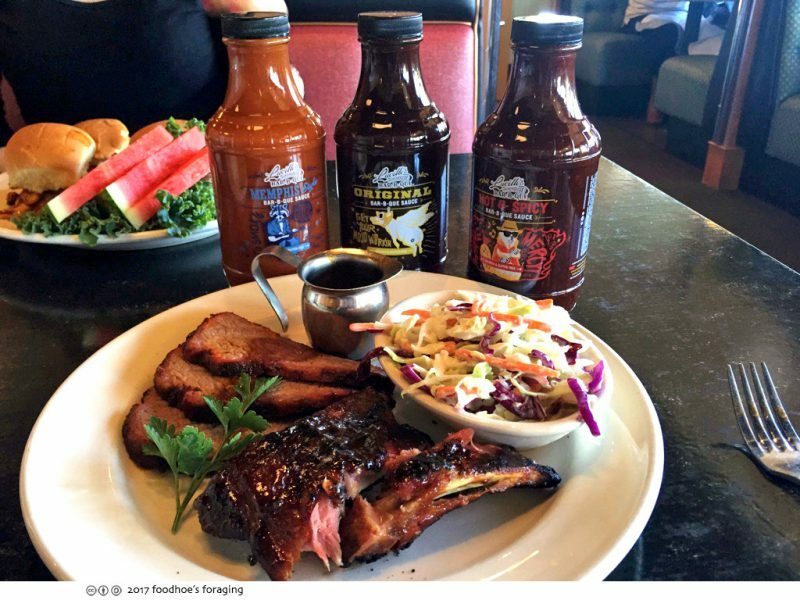 This is baby back ribs, pulled pork and coleslaw. Everything was surprisingly good, freshly made and the meat was tender and flavorful. This is baby back ribs, with beef brisket that is slow smoked and hand carved and served with their savory wet mop sauce. The brisket needed the mop sauce as it was dry. Each table has the house sauces: Memphis, original and hot &spicy. The original sauce is a Carolina style, The Memphis style is mustard-based, and the Hot and Spicy is spiked with garlic, red pepper, molasses, and honey. 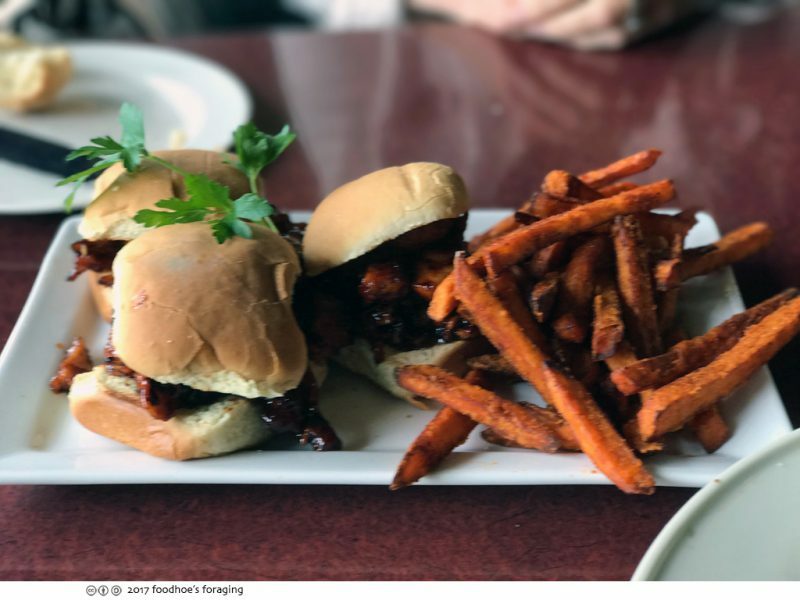 My friend Claire loves the pulled chicken sliders, which is slow-smoked until fork-tender, shredded and tossed in BBQ sauce on tender toasted rolls ($9.99) served with sweet potato fries. 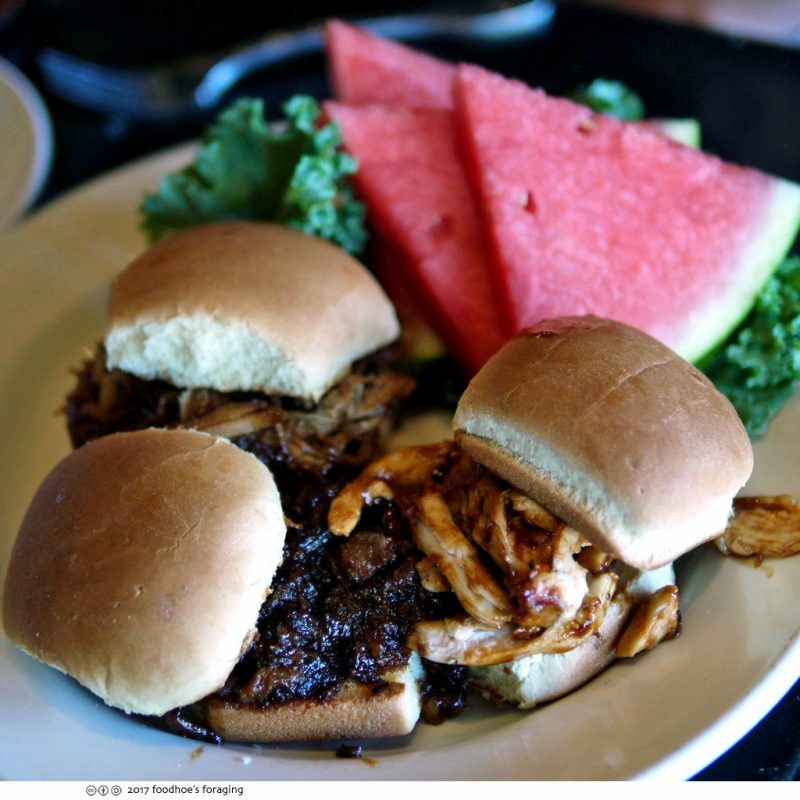 You can also order a combination of pulled pork, smoked beef brisket and pulled chicken sliders from the regular menu. 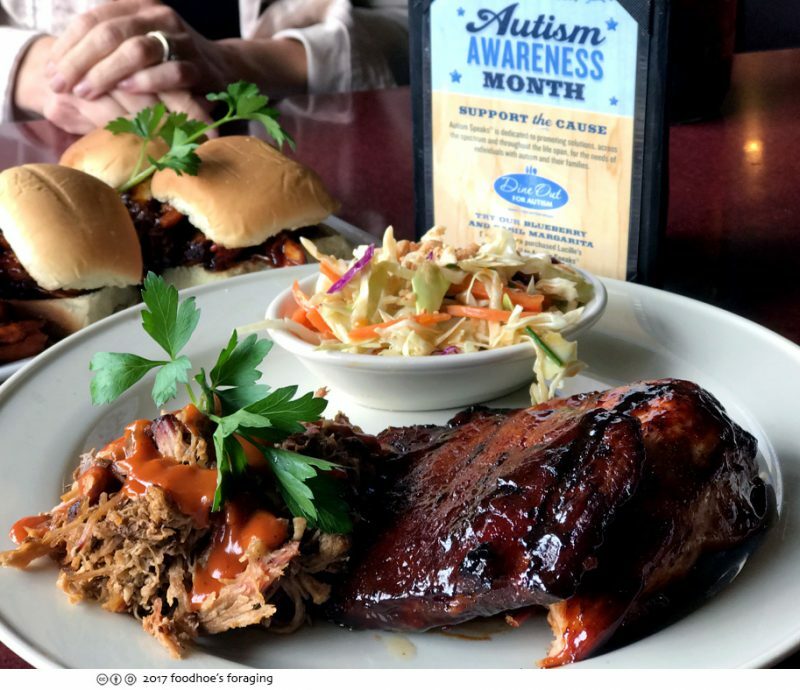 I’ve been there for lunch a couple of times and can recommend the BBQ (skip the brisket unless they can guarantee a nice juicy slice – I just may request that). Besides their smoked meats, they also have burgers salads, and other southern specialties like gumbo and jambalaya. You should definitely try to go before the end of the month to help the cause!